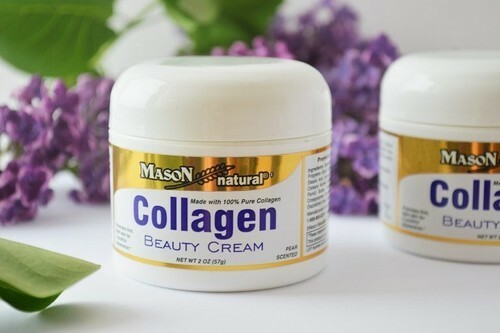 Mason Natural Collagen Beauty Cream Mason Vitamins Collagen Beauty Cream is a high quality anti-aging moisturizer cream that is infused with 100 percent pure collagen. Mason's collagen beauty cream supplies elasticity to the skin which aids in firm, youthful looking skin. Legal Disclaimer: These statements have not been evaluated by the Food and Drug Administration. This product is not intended to diagnose,treat,cure or prevent ant disease. This product has been manufactured and packaged in strict conformance with industry & government standards. Mason Natural�is a registered trademark and does not refer to any product claim. Detail About Package - 1 Bottle 57g.